Up your gym game in this new vest top! 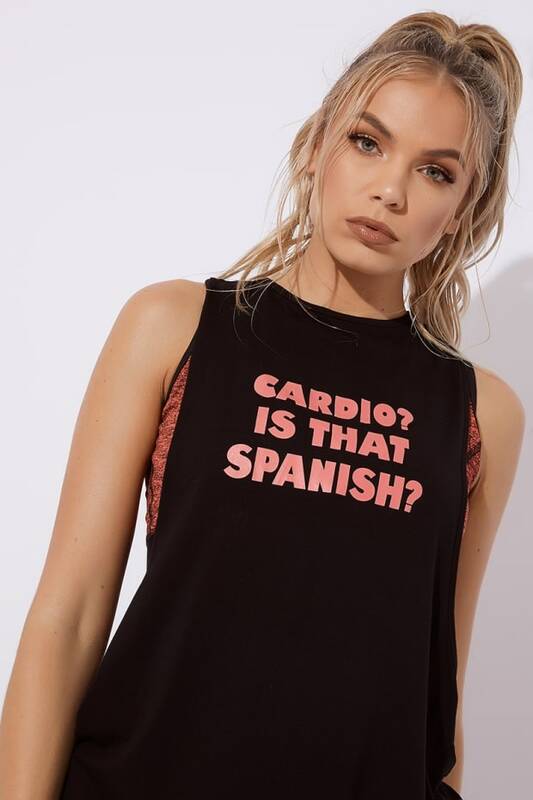 Featuring the slogan 'Cardio? Is that Spanish', style with Dani's leggings for the ultimate workout outfit!